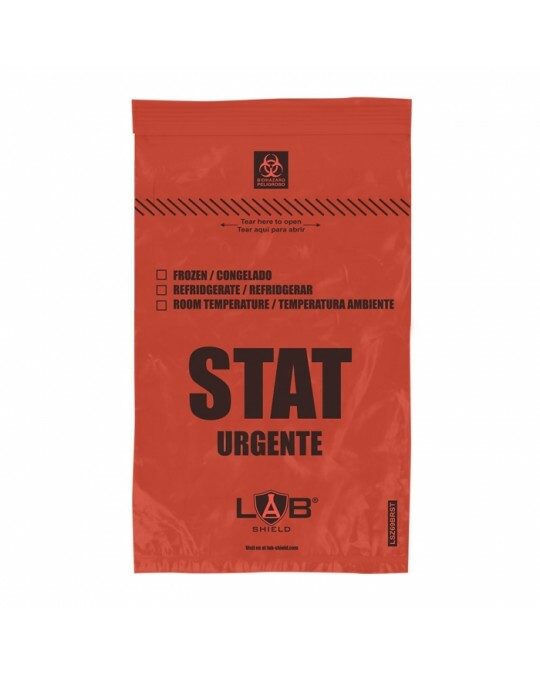 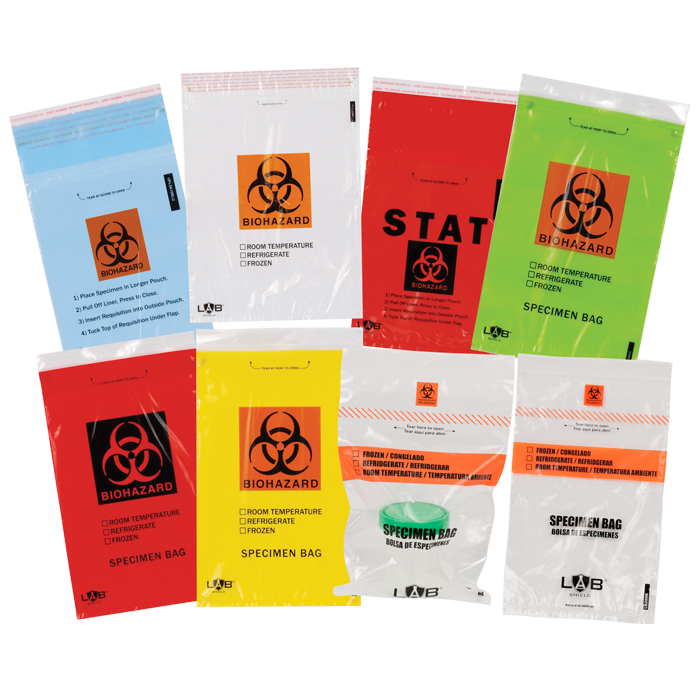 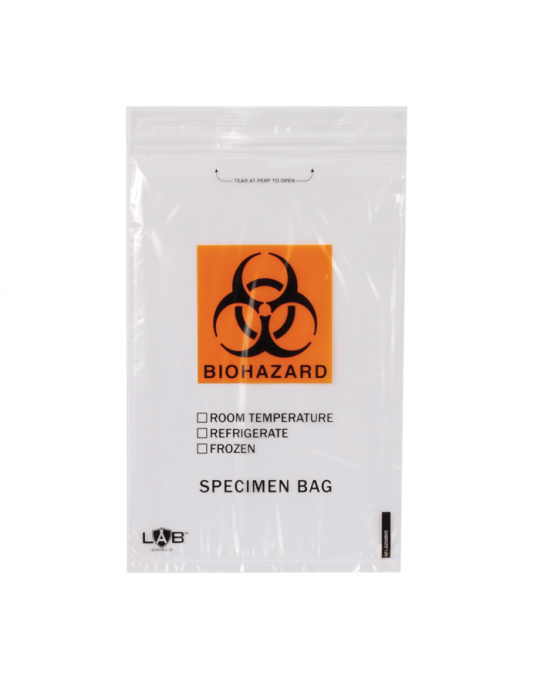 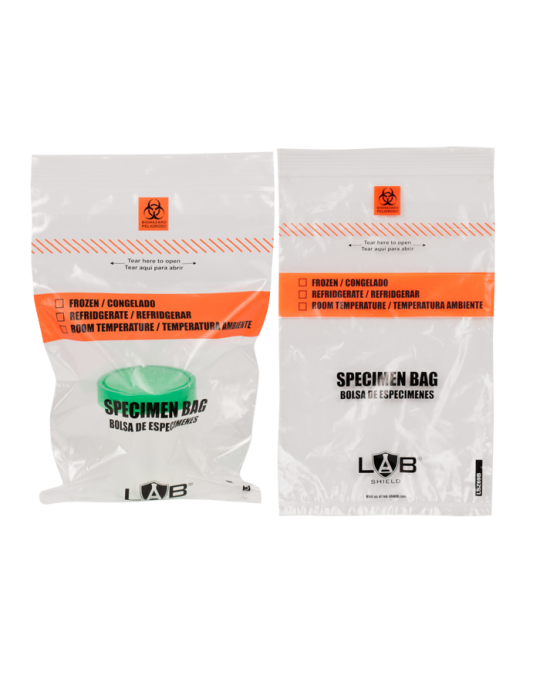 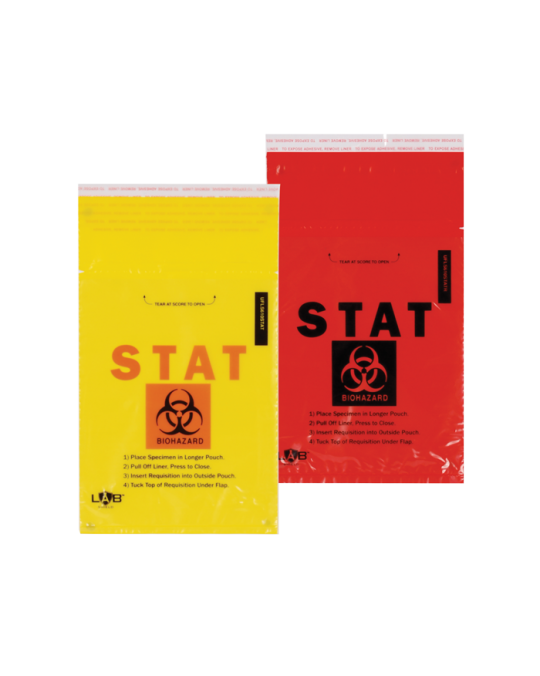 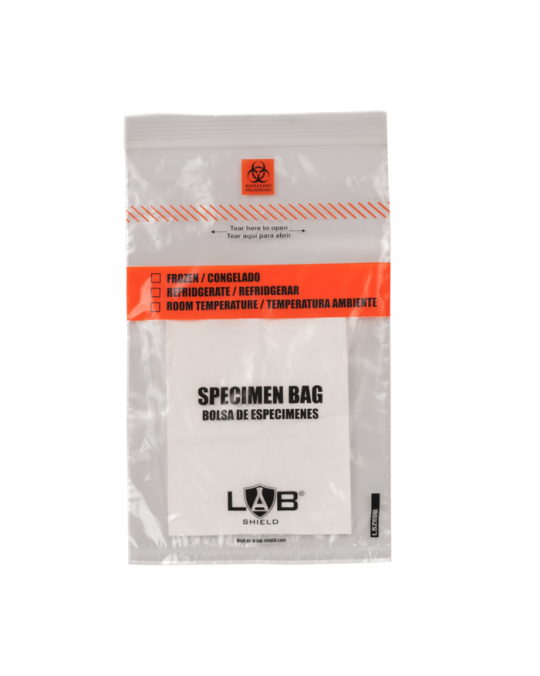 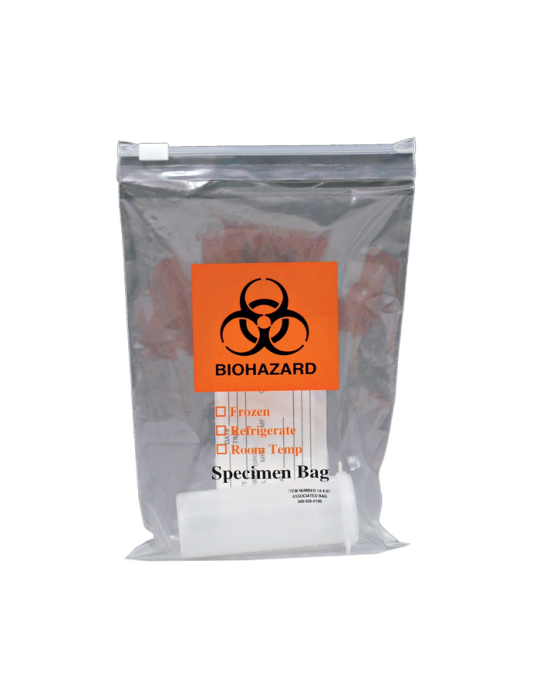 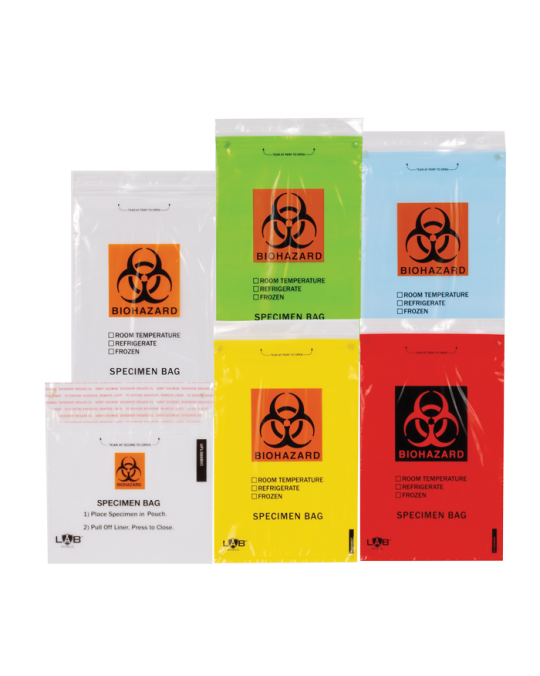 We have a broad range of sizes and types of specimen bags, including zip and adhesive closures, with and without biohazard symbols, and two and three-wall designs. 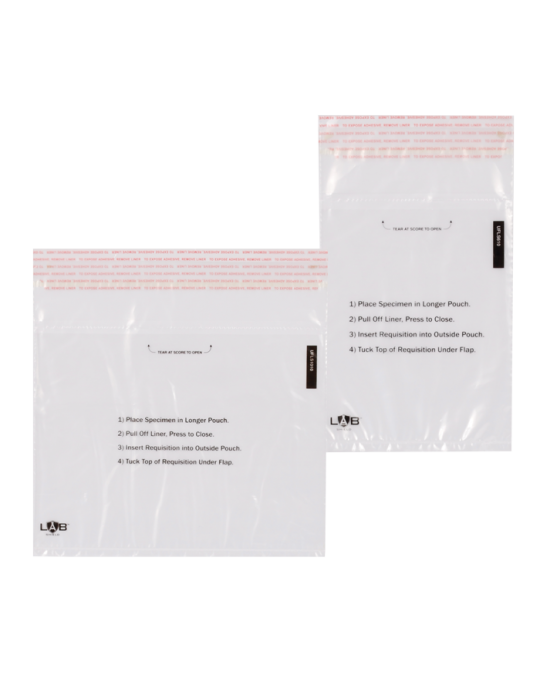 Two-wall designs have no document pouch, whereas the three-wall design has an extra pouch on the outside to put documents concerning the specimen into. 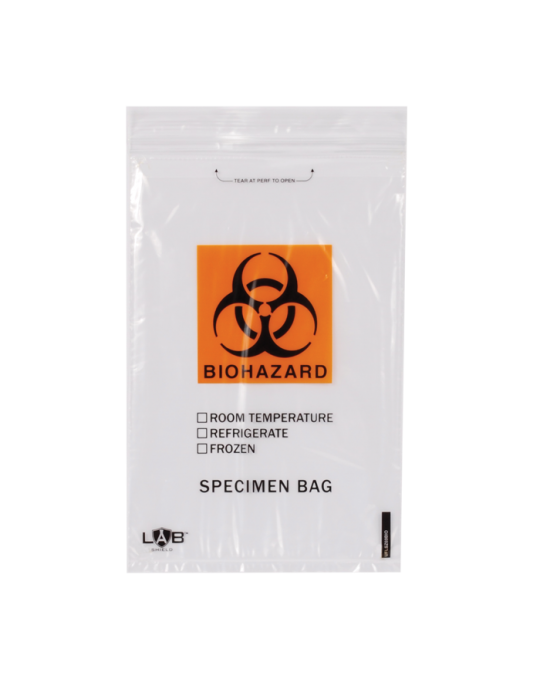 Specimen bags are meant to keep workers safe from liquids or biohazardous specimens inside the bag, and to also keep the specimen safe and uncontaminated.